“Angels of Christmas” by Kate McRostie. Long Glitter Collection by LPG Greetings. Front: Joy to the World the Lord has come! 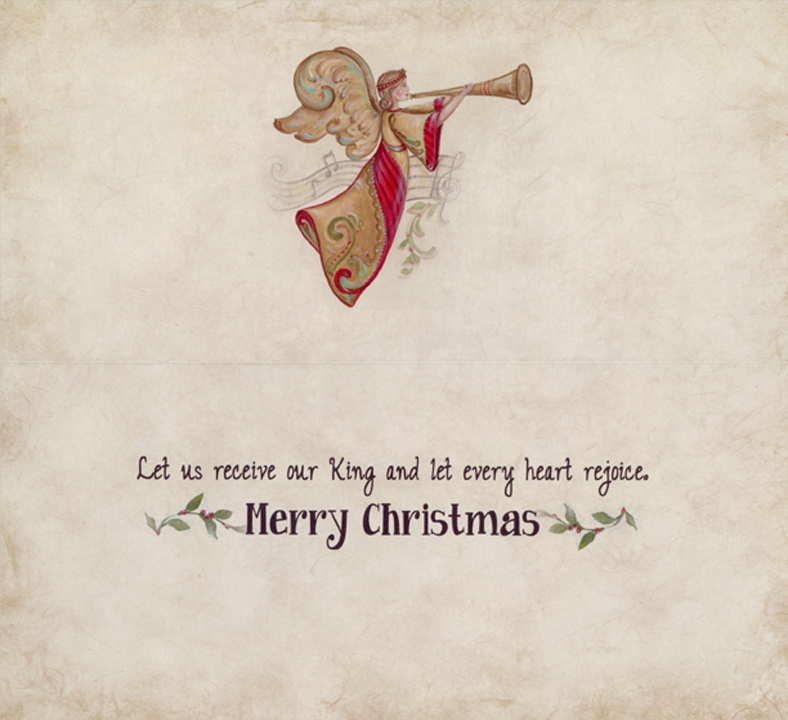 Inside: Let us receive our King and let every heart rejoice. Merry Christmas.